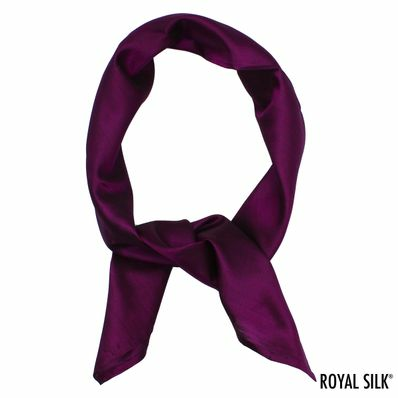 100% silk bandana in a generously sized 23� by 23� square fashioned in yarn-dyed 50-gm Mulberry Silk that sparkles. 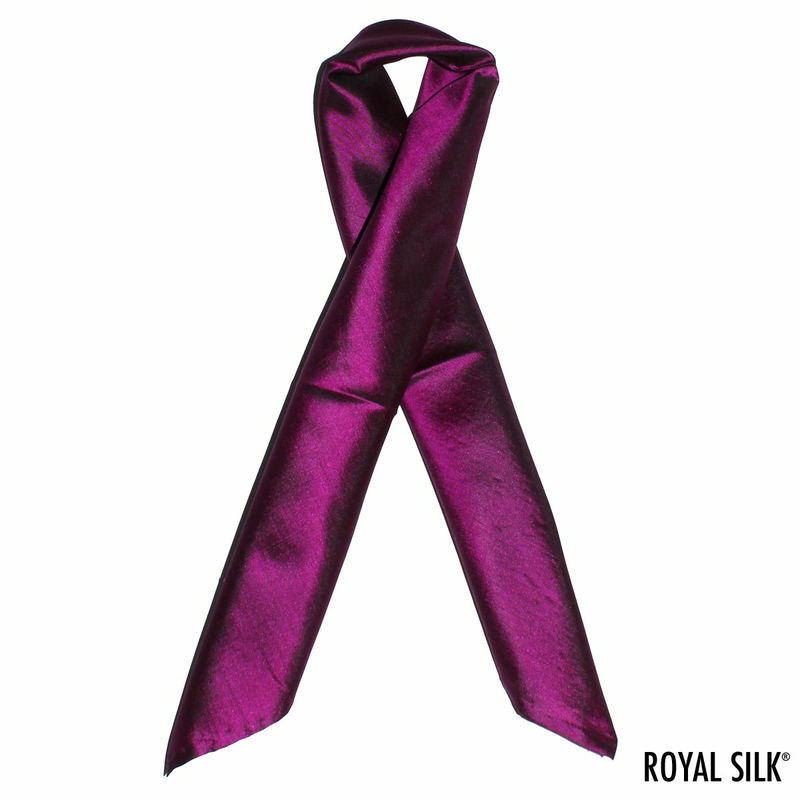 100% Silk. Quantities are limited. 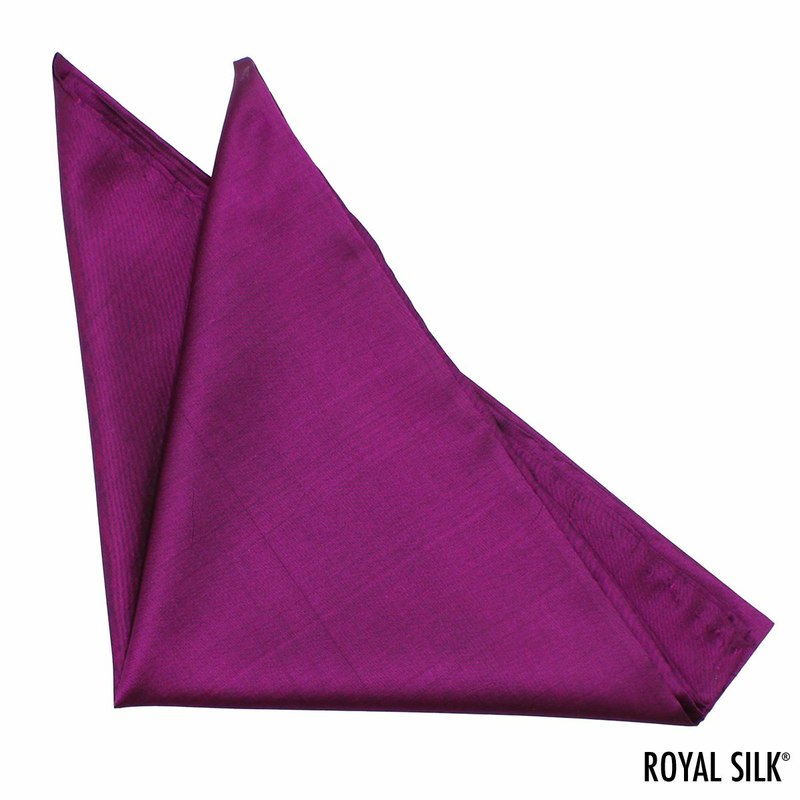 An authentic 100% silk bandana in solid colors in the right size and an affordable price is hard to find. This ever-popular, iconic classic has gone from Pirate wear to Western wear to High Fashion wear to Street wear. Must say that this versatile scarf is one of those must-have accessories that everyone should have more than one of. 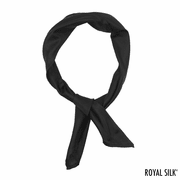 You can tie it countless different ways, including as a head scarf if it's wide enough. Ours are. Typically the ones you�ll find are about 20� by 20� and slightly too small. 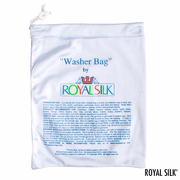 Ours are sized 23� by 23� and once you try one, you�ll notice a big difference. 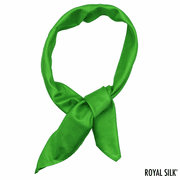 Besides, these days the bandanas are often made of inexpensive cotton or polyester that is misleadingly described as �poly silk.� Ours are fashioned in yarn-dyed 50-gm Mulberry Silk that sparkles in bright, brilliant colors. 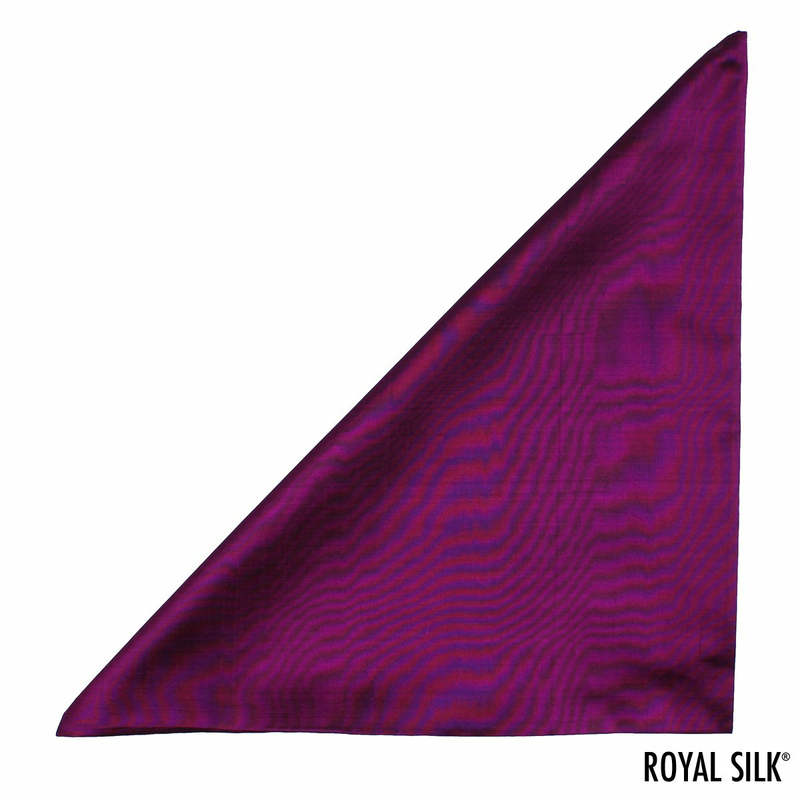 100% Silk. Available in 16 highly-wearable colors. Imported. Quantities are limited.